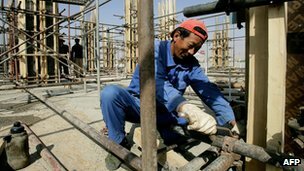 Home » Economy » Is China the next Global Economic Leader? Will China surpass and overtake the United States in order to become the main Global Economic Leader? It becomes the talk among the foreign investors for years, since after China opens the door to global trade market. 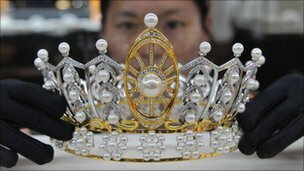 Since then, Chinese people become richer while some of them become the world's super-rich. Most of them can afford to purchase a lot of properties in overseas market besides, traveling and shopping for branded goods in overseas countries. As such, majority of foreign companies invest into China market in hope to get bigger slice of profits from the Chinese consumers. Here are some of the recent news compiled where many Chinese companies buying foreign companies as well as investing into natural resources outside of China. When passing by Chateau Laulan-Ducos it looks like any of the over 7,000 wine estates in Bordeaux, France's best known wine-growing area. But when entering the wine domain, you'll notice something different is taking place. Chateau Laulan-Ducos, a picturesque 54-acre wine estate nestled on the remote tip of the haute MÃ©doc region of Bordeaux, is owned by a Chinese businessman, and its complete wine production is shipped to China. Richard Chen, the 42-year old owner of the Chinese high-end retail jewelry chain Tesiro, bought Chateau Laulan Ducos last year because he is a wine lover and keen to develop a market in China for the 150,000-bottle annual output of the Chateau. Laulan Ducos' bottles are now distributed at 'Laulan French Wine', a chain of 32 franchised wine shops set up by Mr Chen. Although you wouldn't directly associate China with French chateau-ownership, is it no longer an exception. In the past four years an estimated 30 chateaux in the world's fine wine capital have been bought by Chinese businesses and investors, and an estimated 20 deals are in the pipeline. Jane Anson, Bordeaux correspondent for wine magazine Decanter, speaks of an "avalanche of purchases." But China's presence in the region does not come out of nowhere. The Asian tiger has recently overtaken the traditional strongholds of Germany and the U.K. as Bordeaux's largest export destination for wine. Fifty-eight million Bordeaux bottles worth more than 300 million euros were exported to China in 2011 - a growth of 100 percent. The Chinese associate Bordeaux wines with luxury and status, Eddie Yuan, of the Chinese Langfan Consulting group, which advises Chinese investors on French chateau purchases, told CNBC. And as French properties have become more affordable for China's growing middle class, buying up a French chateau seems like the logical next step. Although foreign ownership of French chateaux is nothing new and Bordeaux's grand stone chateaux have attracted buyers from the U.S., Japan, Canada, and other developed countries for decades, the arrival of Chinese investors is different. "The arrival of the Chinese has astonished the region because it has been very fast and aggressive. Chinese investments have been more extensive, more numerous and made within a short period of time," Philippe Roudie, geography professor at the University of Bordeaux, told CNBC. Anson told CNBC, the Chinese are changing the distribution of the wine production as they export the wine directly to China. The first purchase of a French chateau by a Chinese investor was Chateau Latour Laguens and took place in 2008. Chateau Latour Laguens is a 124-acre property in a small village about 30 miles (50 kilometers) south of Bordeaux in the Entre deux Mers region, one of the areas in the Bordeaux region most affected by a drop in land value from the region's wine crisis in 2007-2008. Although the chateau is far away from Bordeaux's Haut-MÃ©doc, home to internationally-recognized wines like Chateau Lafitte-Rothschild, Mouton-Rothschild and Chateau Latour, the estate's name is similar to Bordeaux's world famous Chateau Latour wine, something the Chinese like. Another Chinese billionaire more recently bought Chateau Chenu-Lafitte, which, like Chateau Latour Laguens, is located in a lesser known wine-growing area - CÃ´tes-de-Bourg - but holds a similar name to that of the world's best known Grand Cru wine: chateau Lafitte-Rothschild. The local population of Bordeaux is rather skeptical about the increasing presence of wealthy Chinese in the world-renowned wine region. Although China's growing importance as an export market for wine allows the region to compensate for the decreased wine consumption domestically, and Chinese investments are giving distressed wineries a much-needed boost, local inhabitants are slightly worried when they see how easily the land on which they have been producing wine for centuries is being sold. "It doesn't mean that because they're clients, they can invade us," Petra du Jardin, who works at a local hotel, told CNBC. "Although they're investing their money here and they're not taking the properties with them to China, it's a bit disturbing to see how they've so promptly started to intervene in our business," Lois de Roquefeuille, a local chateau owner, told CNBC. It remains unclear, however, if the Chinese will continue to expand their presence in the region at the same pace they're doing now, or if their wine interest will be just part of a short boom that is about to temper. Is China becoming Africa's new colonial master? Is Beijing sucking away resources to drive its own economic growth, while offering little in return? Or is such talk the product of fear and envy? Is it a sign of Western anxieties, that China is fast becoming the new power in Africa, building more equal relationships, and undermining Western influence on the continent? China is certainly a real force in Africa. Just look at the clutch of presidents and the officials from many more parts of Africa who have made the long trek to Beijing this week for the China-Africa Co-operation Forum. The visitors certainly have incentives to be here. They are being showered with attention, feted at banquets and tantalised with the prospect of preferential loan deals. But China is extremely sensitive to the charge it's a neo-colonialist power and is trying hard to refute it. Ahead of the forum the People's Daily newspaper, the Communist Party's main mouthpiece, warned that "a trickle of critics... have struck a chord of dissonance, warning of the 'new colonialism' looming on the continent in a veiled swipe at Beijing's efforts to forge closer ties with Africa". The opinion piece, from the official Xinhua news agency which echoes official opinion, said the charge was "biased and ill-grounded", the relationship is based on "equality and mutual benefit... fact is more convincing than rhetoric". "Africa's exports of crude oil, minerals, steel and agricultural products have played an active role in lifting the Chinese people's livelihood. Meanwhile, the continent also serves as an indispensable market with great potential for Chinese products," it explained. "China also provides Africa with much-needed products and technologies, and a vast market for its commodities," said Xinhua. "What's more, Beijing focused on helping build the continent's productive capacity by improving its infrastructure and boosting the manufacturing sector, rather than involving the so-called "resource-grabbing practice". President Hu Jintao picked up the theme at the forum, repeatedly calling this "a new type of China-Africa strategic partnership". He said "the Chinese and African peoples have always treated each other as equals... we will... forever be a good friend, good partner and good brother of the African people". He, too, had a barrage of facts to show China is bringing benefits to Africa. "China has built over 100 schools, 30 hospitals, 30 anti-malaria centres and 20 agricultural technology demonstration centres in Africa. It has met the pledge of providing $15bn [£9.58bn] of lending of a preferential nature to Africa....China has trained close to 40,000 African personnel...and provided over 20,000 government scholarships" said China's president. China's commerce minister even got poetic, penning an article in the China Daily highlighting the way China is investing in Africa, not just stripping resources from it. "In Malawi, a landlocked African country, rows of cotton cultivated by local farmers with instruction from Chinese experts are budding; in Ethiopia, a shoe factory built with investment from the China-Africa Development Fund is teeming with local workers; in the Democratic Republic of Congo, a hydropower station financed by credit from China has just been inaugurated," wrote Chen Deming. He went on: "In Yiwu, a city in East China, Chinese customers are selecting South African wine at the Exhibition Centre for African Products; at the New Port of Tianjin, a cargo ship loaded with fruit and textile products from Benin is preparing for tariff exemption procedures to enter the Chinese market. These are the encouraging scenes unfolding before us." At the forum itself, China has promised $20bn of new loans, reduced tariffs on African imports and help for Africa's development. All of this is designed to show that China is different from colonial powers. The English-language mouthpiece, the China Daily, gave space to Sehlare Makgetlaneng from the Africa Institute in Pretoria, South Africa, who wrote: "The West's claim that China's relationship with Africa is neo-colonialism... results from the fear its strategic interests will be harmed as a result of structural changes in African countries and China's growing presence on the continent." 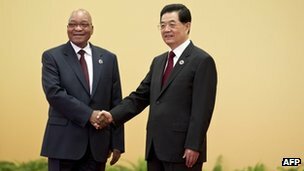 Despite this media barrage, though, there are still concerns in many parts of Africa that this is not an equal exchange, concerns that the investment deals are opaque and open to corruption, that Chinese infrastructure projects often import Chinese labour rather than developing local skills, that Chinese firms may exploit local workers, that cheap Chinese products undermine Africa's ability to build it's own industries, that for all the new roads, railways and ports, this is not a mutually beneficial relationship. Kenya's Prime Minister Raila Odinga is at the forum. He will be signing deals for new power plants and roads. But before he left Kenya, the PM Press Service said he wanted to talk to China's leaders about areas where trade has "not worked well." "We import a lot of manufactured equipment like tractors, ploughs and harvesters. I feel that we should by now be having a tractor manufacturing plant here in Kenya. There is no reason why we should be importing tractors from China year in year out. 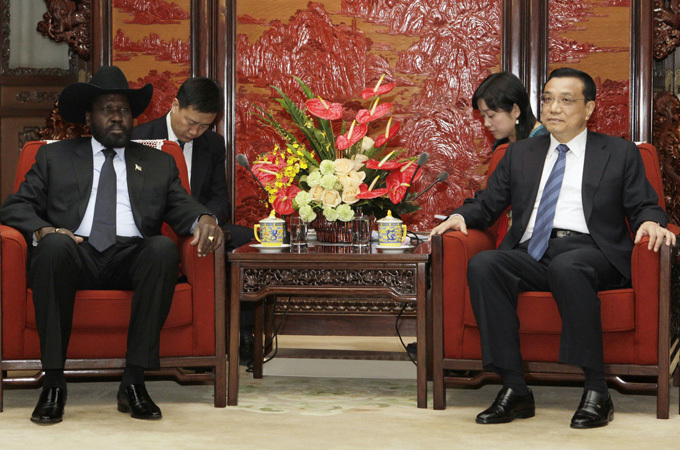 These are some of the things we want to engage the Chinese on," Mr Odinga was quoted as saying. "We should have a fertilizer manufacturing plant here instead of importing the product from China which causes delays and poor harvests," he added. And that may be the key for China, if it can invest more in African factories and businesses, not just infrastructure and buildings, if it can create more jobs in Africa rather than export more Chinese-made products to the continent, if Kenya gets a tractor factory and a fertilizer plant, China may win over many of the doubters. Cnooc Ltd. (883)’s $15.1 billion cash takeover bid for Nexen Inc. (NXY) signals a Canadian shift toward China and away from the U.S. as the nation’s traditional oil and natural-gas partner and main export market. Canada’s oil sands reserves, the third-largest recoverable crude deposits in the world, were developed in part by U.S. money as companies such as California’s Richfield Oil Corp. brought technology to extract bitumen from boreal peat bogs half a century ago. Now, for the first time, a Chinese company will own and operate oil-sands crude production as well as Nexen’s shale-gas assets in British Columbia, along with leases in other parts of the world. Chinese oil producers have turned more frequently to Canada after political opposition in the U.S. derailed Cnooc’s $18.5 billion bid for Unocal Corp. in 2005, and after TransCanada Corp. (TRP)’s Keystone XL pipeline route south to Texas was blocked by President Barack Obama’s administration last year. China, seeking to add oil and gas reserves to meet demand in the world’s largest energy-consuming country, sees Canada as a ready supplier as it prepares to expand its pipeline network to the Pacific coast for exports to Asia. Over the past decade, Chinese companies have spent $53.4 billion on Canadian oil and gas fields and companies, compared to $30.8 billion invested in the sector by U.S. companies, according to Bloomberg data. The Canadian government, which turned down a 2010 hostile $40 billion bid by BHP Billiton Ltd (BHP) for Potash Corp. (POT) of Saskatchewan Inc., has to approve the transaction. Potash Corp. is the world’s largest supplier of the fertilizer, which is produced in only a handful of countries around the world. By comparison, less than a third of Nexen’s second-quarter oil and gas production of 207,000 barrels a day was in Canada. Cnooc nevertheless will gain access to Canadian engineers and geologists familiar with developing and operating oil sands and shale-gas projects, said Fasken’s Black. The company’s other assets include production platforms in the North Sea, the Gulf of Mexico and in Nigeria. Canada’s oil and gas and other natural resource industries have traditionally been open to foreign investment to speed development, Lysle Brinker, director of energy equity research at IHS Herold, said by telephone from Cape Elizabeth, Maine. “It’s in the interest of the long term viability and the health of the Canadian oil and gas industries” to approve the Nexen takeover, he said. And the Canadian government has taken a “long-term view” to recognize the energy industry needs a lot of investment to succeed, he said. China’s largest offshore oil and gas explorer is paying $27.50 for each common share, a premium of 61 percent to Calgary-based Nexen’s closing price on July 20, according to its statement to the Hong Kong stock exchange yesterday. Nexen’s board recommended the deal to its shareholders. Cnooc was 3.6 percent at HK$14.88 at 1:01 p.m. compared with a 0.2 percent gain in the benchmark Hang Seng Index in Hong Kong after a delayed start to trading because of a typhoon. “The 61 percent premium is huge, it’s totally unreasonable,” said Laban Yu , an analyst at Jefferies Hong Kong Ltd., who cut his rating on Cnooc shares to underperform from hold after the deal was announced yesterday. Cnooc last year acquired Nexen’s partner Opti Canada Inc., which held a minority stake in the Long Lake project, a production operation that uses steam to melt underground seams of tar-like bitumen and refines it in giant vats called upgraders. The joint venture allowed them to better understand the business as well as the political context, said Wenran Jiang, an adviser to the Alberta government and director of the Canada-China Energy and Environment Forum. Canada’s traditionally close energy ties to the U.S. were strained in the past year by political controversy that threatened to stall TransCanada’s plans to ship crude from Alberta to the Texas Gulf Coast via its Keystone pipeline. As TransCanada redesigns the project to overcome U.S. environmental objections, the Canadian government stepped up its courtship of China. The Nexen deal is one of two major Chinese energy acquisitions announced yesterday. China Petrochemical Corp. (1314) agreed to spend $1.5 billion for a 49 percent stake in Calgary- based Talisman Energy Inc. (TLM)’s U.K. unit after spending $2.2 billion last year to buy Canada’s Daylight Energy Ltd.
Before the Nexen purchase was announced, trading in bullish options on the Canadian company’s U.S. shares last week reached the highest level since March 2008, data compiled by Bloomberg show. The activity, which included three trades that may bring profits of more than $40 million, may indicate the deal was leaked, according to Joe Kunkle, founder of OptionsHawk.com, a Boston-based provider of options market data and analytics. Nexen has been searching for a new CEO since Marvin Romanow stepped down in January amid a slumping share price and missed production targets. Nexen’s market value had plunged 60 percent before today from a high of C$43.45 in June 2008 as prices fell for natural gas, which accounts for about 20 percent of output. Production growth also slowed more than the company expected because of setbacks at projects in Canada’s oil sands and in the North Sea. “The Chinese have shown that they’re good at buying assets that have long-term value,” said Jennifer Stevenson, who helps oversee about C$5 billion in assets at Dynamic Funds in Calgary and doesn’t own Nexen shares. Cnooc will add 900 million barrels of oil equivalent reserves at $19.94 per barrel through the deal, according to a document posted on the company’s website. Cnooc plans to boost output by as much as 2.7 percent this year to the equivalent of as much as 930,000 barrels of oil a day. Calgary will become one of Cnooc’s international headquarters and the operations hub for overseeing an additional $8 billion in assets in North and Central America. The Chinese company will list its shares on the Toronto exchange, it said in the statement yesterday. The $2.6 billion deal will make Wanda the largest worldwide movie operator. The largest Chinese takeover of an American company in history was just announced. AMC Entertainment Holdings, which had filed plans for an IPO, will instead be sold to the Dalian Wanda Group out of China for $2.6 billion. What a relief for the private equity owners who wanted to unload AMC after buying the chain in 2004. The Dalian Wanda Group, more informally known as Wanda, will now create the world's biggest movie theater operator after absorbing AMC and its 346 cinemas in North America. Wanda wants to continue to expand AMC, and said it will invest some $500 million into AMC's development in the future. It looks like Wanda will allow AMC to run fairly independently. It will keep AMC's management and headquarters in Kansas City, and didn't initially announce any layoff plans, according to the Associated Press. AMC had been the No. 2 movie theater operator in the U.S., with $2.5 billion in sales last year compared with the $2.7 billion for Regal Entertainment Group (RGC +2.39%). This was a nice sale for AMC's owners, which include Bain Capital and several other private equity companies. AMC has a ton of debt, and has had difficulty paying that off. The company hasn't made a profit in the recent past, but this past year its financials improved on strong ticket sales. Apollo Global Management (APO -0.67%) and a unit of JPMorgan Chase (JPM +0.84%) bought AMC in 2004 for $2 billion, including debt, Bloomberg reported. The next year, AMC merged with Loews Cineplex Entertainment, which was owned by three other private equity firms. All of those private equity owners wanted to get some money back. They tried to spin out AMC into an IPO in 2008, but withdrew. They filed again for an IPO in 2010, but shelved those plans as talks with Wanda expanded. Before the AMC deal, the largest Chinese takeover of an American company had been Lenovo Group's $1.8 billion buyout of IBM's PC business in 2005, Bloomberg reported. After a year-long legal battle, China will be allowed to buy farmland in new Zealand. Some experts say these purchases are less about business and more about rich countries securing their own food supply at the expense of less well off nations. About 500 Chinese people are said to live in Sulaimaniyah, Iraqi Kurdistan's second city. Many work in the new Kawa Mall where Chinese flags, lucky cats and paper lanterns present an incongruous scene on the Kurdish landscape. Such immigration and foreign investment is becomming more prominent in the semi-autonomous area run by the Kurdistan Regional Government. Al Jazeera's Rhodri Davies reports. China investing billions into hydroelectric scheme, which is set to displace many. Chinese companies are funding a multi-billion dollar project to dam the Irrawaddy river in Myanmar. The river, the longest one left undammed in southeast Asia, is important to the Kachin people, and millions of people up and down its length would be affected by the changes, experts say. When it is dammed, it will leave an area the size of New York City submerged. There are now concerns over who is to benefit from the river's riches. Our special correspondent in Myanmar, who we cannot name for security reasons, filed this report. China is buying commodities and fuelling economic growth, but some worry the communist giant is creating dependency. 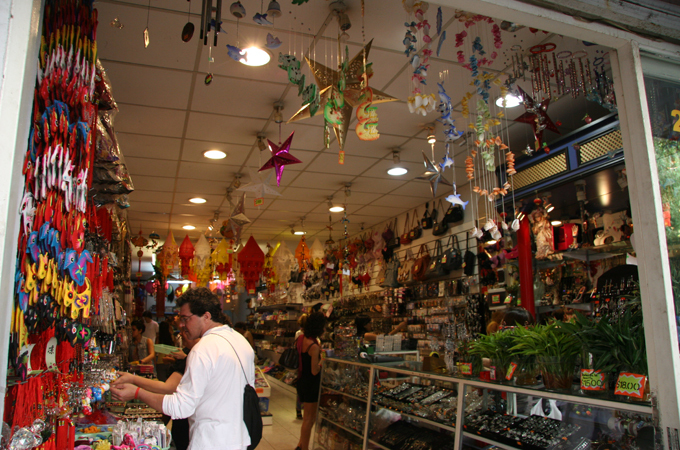 The small restaurants and shops selling plastic sandals, tacky umbrellas, kitchen wares and paper lanterns in Buenos Aires' Chinatown do not give the impression of impending economic dominance. Away from this small urban area, however, China has been not-so-quietly buying up agricultural products, companies and minerals around South America. Some analysts consider this aggressive drive for resources as a new form of imperialism, in which a big power wrangles raw materials from weaker states. Others believe China's push gives South Americans an alternative to the US, which critics say has attempted to control Latin economies through debt and support for dictators. Regardless of how it is seen, China's economic footprint in the region is growing dramatically. "Across Latin America we are seeing that China is having an increasing importance in trade and investment," Ricardo Delgado, director of Analytica Consulting in Buenos Aires, told Al Jazeera. "Brazil and Argentina produce and export many raw materials: soy, sugar, meat and corn… China is a very important driver of demand for these commodities." Since 2005, China's development bank and other institutions have spent an estimated $75bn on financial investments in South America, said Boston University professor Kevin Gallagher. This is, he points out, "more [investment] than the World Bank, US Export Bank and the Inter-American Development Bank combined". Chinese private investment, often coming from large state-supported firms that set-up operations in the region or buy local companies, has been about $60bn, Gallagher said. In the past five years, Bilateral trade between China and South America jumped more than 160 per cent, rising from $68bn in 2006 to $178bn in 2010. In Peru, Chinese mining giant Chinalco spent $3bn buying "copper mountain" - an entire rock formation containing two billion tonnes of the precious metal. The firm expects a 2,000 per cent profit on its investment. The Chinese state lent Petrobras, Brazil's national oil company, $10bn in 2009. And a plan from China's Beidahuang food company to lease more than 300,000 hectares of land to grow genetically modified soya, corn and other crops in Argentina's Patagonia region has locals furious about potential environmental damage. As director of Mercampo, an agricultural consulting firm based in Rosario, Argentina, Gabriel Perez has seen the increase first hand. More trade delegations are coming from China, and tycoons from the world's second largest economy are eager to invest in agriculture and commodities. "China has the strategic vision to ensure food security and energy in their country [as they worry] that long-term problems will be the supply of raw materials," Perez told Al Jazeera. "This is undoubtedly the primary reason for China's investments in South America." nese firms often buy local assets or lock-in long term supply agreements, sometimes making deals in Chinese currency, rather than the US dollar which typically underpins international trade. China's expanding relationship with South America has global repercussions far from Argentinian soy farms or Brazilian beaches. Unlike most Americans, regular working-class Chinese people save money. Instead, China maintains a large surplus in its foreign trade. These factors allowed the Chinese government to amass more than $3tn worth of foreign exchange reserves by the end of March 2011, according to China's national statistics bureau. Most of that money, nearly $2tn, has been invested in US treasury bonds. For years, they provided a low-risk, low- reward, but stable place to put surplus capital. Now China has a conundrum: The US is living beyond its means and has, according to Standard and Poor's, lost its AAA credit rating. Yet, if China starts selling its US bond holdings, the debt will lose value. China, the largest holder of the debt, will be shooting itself in the foot. The country, therefore, is trying to quietly move its reserves into assets in emerging economies such as those in South America. South America became the "primary focus" of Chinese non-bond investments in 2009, according to the Heritage Foundation, a conservative US think-tank that has tracked the communist giant's overseas purchases. China is now Brazil's largest trading partner. Beijing owns $18.3bn worth of assets in South America's largest country, according to the Heritage Foundation. "The most important contribution of China’s growth has been trade," Eliana Cardoso, a World Bank economist and former MIT economics professor based in Sao Paulo, told Al Jazeera. "It has contributed to the increase of commodity prices." Throughout South America's history, economists and politicians have worried about dependency created by countries exporting raw materials and then depending on industrialised nations for high-end manufactured goods and technology. "An economy organised around the export of resources often dampens economic diversification and the development of value-added industries, so there is a way in which China could be as much of a problem as the US," said Greg Grandin, professor of history at New York University and author of Empire's Workshop: Latin America, the United States and the rise the new imperialism. China has, however, given Latin American countries a "more diversified set of options to negotiate prices and interest rates" than what the US would offer, Grandin told Al Jazeera. Raul Prebish, an Argentinian economist and former director of the UN’s Economic Commission for Latin America (ECLAC), argued that nations on the "periphery" of world trade were doomed to be primary commodity exporters unless they developed by building a domestic manufacturing base and closing trade links. "Unlike the Americans, the Chinese do not have all sorts of draconian policy conditions on their finance "
"In Brazil, China is an important competitor in low labour cost industries. Chinese prices are low and problems of dumping and subsidised exports are common," Delgado said. "Our industries are not prepared very well for this competition." China is frequently accused of keeping its currency artificially low to boost exports. Brazil's real and other South American currencies have risen drastically due to the commodities boom in recent years. Brazil’s former finance minister went so far as to warn of a "currency war" as countries around the world tried to lower their currencies to boost exports. "You hear lots of complaints from the industrial sector that competition has become very hard, because the exchange rate is misplaced," Cardoso said, adding that she thinks such concerns are minor compared to the country's growth. Plenty of economists who do not have strong positions in debates about dependency think it's wrong to worry about Chinese investment because the terms of trade are squarely in South America's favour, as countries maintain large trade surpluses with China. The values of basic products have changed dramatically since the 1960s when "dependency" became a fashionable topic of discussion. "In the last decade, the price of commodities that Latin America exports have doubled and tripled, while the industrial goods it imports from China have become cheaper," Aldo Pignanelli, Argentina’s former Central Bank president, told Al Jazeera's Lucia Newman. "This has allowed Latin America to have a positive trade balance, a strong accumulation of reserves in its central banks and a growth rate that will surpass six per cent this year." More importantly, Chinese loans, representing the bulk of investment, do not come with the same strings as aid from the International Monetary Fund (IMF) or Inter- American development Bank, which are seen as Washington's fiscal agents. Through the IMF and World Bank, US policy makers demanded privitisation and low inflation rates, often at the expense of growth, on Latin America through the 1970s and 80s. Governments in the region have discarded that advice in recent years, looking instead to a mixed economy, in which the state is actively involved in setting monetary policy and managing natural resources. Brazil's government-backed oil giant Petrobras is the clearest example of South America's new form of hybrid capitalism. Critics charge that the IMF offered one set of prescriptions for developing countries: cut social spending, lower inflation at the cost of job creation and raise interest rates. During crisis at home, the fund's US backers did the opposite, relying on government stimulus programmes and low interest rates to boost growth. "Unlike the Americans, the Chinese do not have all sorts of draconian policy conditions on their finance," Gallagher said. Other experts have echoed this sentiment - China is more concerned with getting the goods, rather than changing the structure of economies with which it trades. After defaulting on its massive debt in 2002, following street protests and a bitter economic crisis, Argentina settled its debts with the IMF in 2006 and has ignored its advice ever since. Back in Buenos Aires' Chinatown, a young Cantonese waitress carried trays of fresh orange juice and sparkling water, chatting in imperfect Spanish to eager Portenos (residents of Buenos Aires) who sit outside in the summer air. While it does not glisten, Chinatown is increasingly becoming fashionable, with young Argentines. Some local libraries even offer free Mandarin language classes, financed with Chinese money, as part of the country's quiet "soft power" in the region. In recent weeks, Chinese officials have expressed concerns about an economic slow-down, linked to the crisis in European export markets. That could spell trouble for growth in South America. "Seventy-two per cent of Argentina's soy goes to China," Gallagher said. "If China's demand slows by a few percentage points, you could have an unwinding." He worries commodity exporters have put "too many eggs in the China basket". Even so, the restaurants in Buenos Aires' Chinatown and beyond are filled with well-dressed people chowing down on BBQed meat, noodles and warm bread. The economy has been strong, despite inflation. China's growth has played an important role in reducing poverty across Latin America, which has fallen to its lowest level in 20 years, according to the UN figures released in December. While Brazilian manufacturers worry about dependency and increased competition, the country's economy has, according to Cardoso, seen an "increase in productivity, an increase in real wages, and a decrease in inequality". "People are feeling better off," she said. At least part of this feeling can be linked to China and the commodities boom. Who are the leaders of China's economic miracle? Where do they come from, and what are their wildest ambitions? A hundred years ago it was the likes of Rockefeller, Ford, Carnegie who were building the future. With China closing in on America to become the world's biggest economy, the next century belongs to names like... Zong... Dai... Liu. We had better get used to it. As I read ever-more hyperbolic accounts of the Chinese economy, its impact on global trade, and the spending spree of its newly rich middle classes, I wanted to find out about the men and women who are leading this transformation. I was not after the bosses in government and the Communist Party, although they are pulling the levers in their state-controlled society. I was seeking the people behind the country's explosive economic growth - the top entrepreneurs. They are the ones building world-beating companies, leading China's export success and creating new jobs by the million. Thirty years ago the Party denounced entrepreneurs as: "self-employed traders and peddlars who cheat, embezzle, bribe and evade taxation." Then the line changed. Deng Xiaoping, the driving force behind the move to capitalism after Mao's death, famously declared ''to get rich is glorious''. Karl Marx himself had a soft spot for entrepreneurs. In Das Kapital he asserted that workers were exploited by capitalists who profited from the added value of their labour. But he argued entrepreneurs, although still capitalists, added their own value - through their fresh ideas and ability to seize opportunities. Entrepreneurs, at least the good ones, were benign capitalists, said Marx. That explains their rehabilitation in post-Mao China. But they are still expected to play their part in a centralised system. I wanted to get behind the corporate announcements and the carefully managed public appearances to see how China's super-rich actually live, to hear what they really think and to try to understand why they had risen to the top of society, rather than their 1.3 billion fellow-countrymen and women. What do they feel about the vast mass of China's population? How are they coping with their wealth. What are their plans for the future? As they talked openly about their fortunes, their path to the top, their hopes for their own children, and the prospects for the world's fastest growing economy, I felt I had just begun to penetrate behind the mask of inscrutability which is the default mode for all Chinese dealings with foreigners. The billionaires I spoke to had all risen from total poverty. Not relative poverty, compared, say, to a typical Western family. They had known the sort of poverty where there was not enough to eat, and each day was filled with grinding labour. Now they have made their fortunes, they divide into two types, depending on their attitude towards money and luxury. The first type, you might call the "Party Traditionalists". 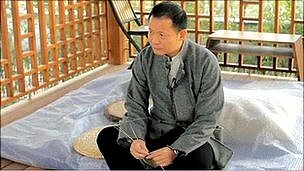 They are typified by Zong Qinghou, boss of drinks and clothing firm Wahaha, who when I met him was the reigning richest man in China. As we sat facing each other across the desk in his modest office, he told me that the money he had made was for society, not for himself. And he emphasised that he eschewed luxuries. 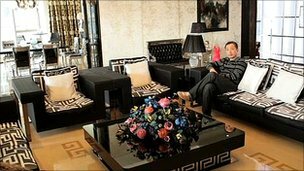 The second group are exemplified by Dai Zhikang, a 40-something property developer. I call them China's "New Aristocracy". They are more at ease with their new-found wealth. Unlike the Russian oligarchs they tend to steer clear of vulgar displays of opulence, and in a sense they are making their new money into old money - buying art, travelling widely, buying property and sending their children to private schools and universities in Britain or America. The next generation Both types talked freely about the role their children might play in inheriting their fortunes. Even the traditionalists reserved the right to entrust their wealth to the next generation, although only if the children could be relied upon to build on the fortune rather than fritter it away. They were all aware that they had seized an opportunity that would never again be presented to the Chinese people - that it was easy to start a business during the transition from communism to capitalism - "the opening up" - much easier than now. The other difference between the Party Traditionalists and the New Aristocracy was their attitude to luxury brands. One of the younger generation proudly showed me his new $50,000 Patek Phillipe watch. He had bought several he told me, because they keep their value. By contrast, a top Party man, an industrialist, wore his humble Citizen timepiece with equal pride. The Traditionalists wore Chinese-made suits. The Aristocrats sported beautifully made casual wear. Each of the entrepreneurs I met was near the top of the various rich lists that fascinate China's (and the world's) media. In the near future it is quite possible that at least one of them will drop out through the ebb and flow of business success. But their eventual fate makes no difference to the insights I gleaned through meeting them. As well as being fascinating characters in their own right, they allowed us to glimpse new China through their eyes, and understand the forces that will shape all our lives over the next decades. Nick Rosen is head of Vivum Intelligent Media Ltd. 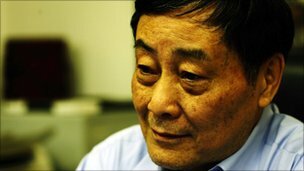 He is making a documentary about the lives of China's top entrepreneurs.